Florida Shooting: Are these reservations valid? NOTE LONG SHADOWS WHEN THE ATTACK WAS OVER BY 2.30 PM! This article should be read in conjunction with earlier ones on this blog. We are told that mainstream TV media (MSM) is reliable and fake-news-averse, yet what we witness is stereotyped, uniform reporting of events, that glamorises and sensationalises them. In this respect the reporting of a terror event or mass shooting is hard to distinguish from the Hollywood fictional drama. To what extent have the two fused, so that it is becoming increasingly difficult to tell them apart? That is certainly the case in life-like "drills" supposedly done to train professionals and public in how to respond to the real thing. The fact that so-called 'real' events are consistently accompanied by 'drills' cannot be dismissed as coincidence. Yet again Florida evidenced this phenomenon. Is it but just one of many clues that the Florida shooting needs to be questioned at every level? WHY A PICK UP TRUCK AND NOT AN AMBULANCE? The question the people should now continually pose is, when are such highly publicised events genuine or fabricated in whole or part to project a covert agenda. Objective scepticism is now the essential attribute of the concerned citizen and should never be cheaply dismissed under the label of "Conspiracy Theorist". What is noticeable in MSM is that it focuses on the drama and emotion of the events but seldom carries out genuine investigation of the claimed facts or follow-up. 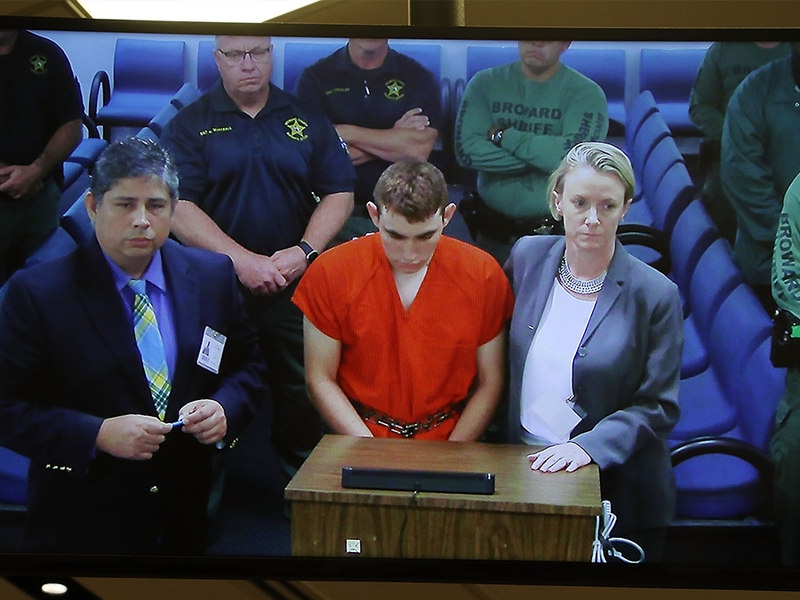 It takes on the personality of the naive child, accepting unquestioningly everything it is told by authority figures or subjecting them to searching questions where contradictions or anomalies in the official story become apparent, as blatantly the case in Florida. These are drowned out by the drama of the event, the shock and horror that is universally felt, combined with the sympathy evoked for the bereaved and injured. These are quite right and natural responses but what we have recently witnessed is the professional manipulation of grief for political or emotional purposes. There is undoubtedly an element of spontaneity but this has been consciously managed, corralled and promoted by undefined agencies in concert with the MSM. Mass gatherings, candles, flowers, cuddly toys, slogans, building illuminations, pop concerts, sports personalities and events, church memorial services dedicated to 'Hope', even political or social movements, as in the Florida case for "Gun Control" have all become common, whilst meanwhile the Internet media is festooned and saturated with these images. Hugging people often with symbolism, tearful or blood stained faces. Strangely every such event appears to have one such iconic image that goes viral. Do we put all this down to chance or do we think a controlling mind is more likely? If the latter, how likely is it that the initial event was planned and executed by the same 'mind'? Victims must be photogenic it seems! On a somewhat more serious note, am I right in thinking you are a medically qualified doctor? The reason I pose this rather personal question (I hope you will not be offended) is that if I am correct you must be somewhat aware of standard post-death procedures, particularly following tragedy or homicide. 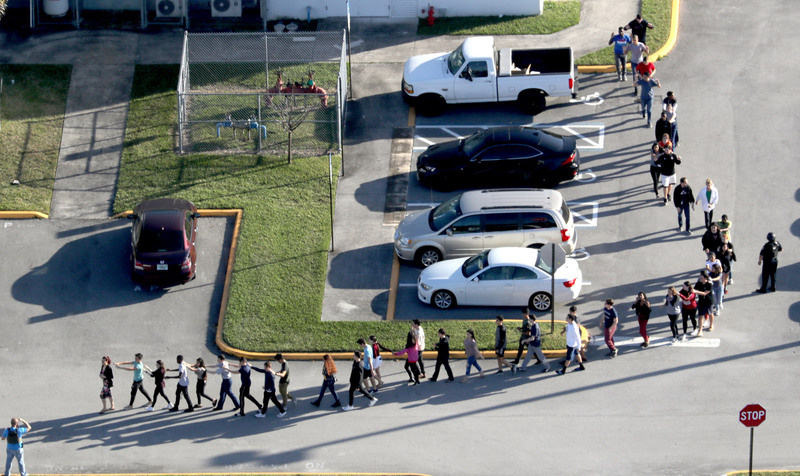 There are many elements to the Florida School shooting that simply cannot be made to fit and reconcile the various accounts and yet the media appear totally oblivious of these and fail to pursue them. 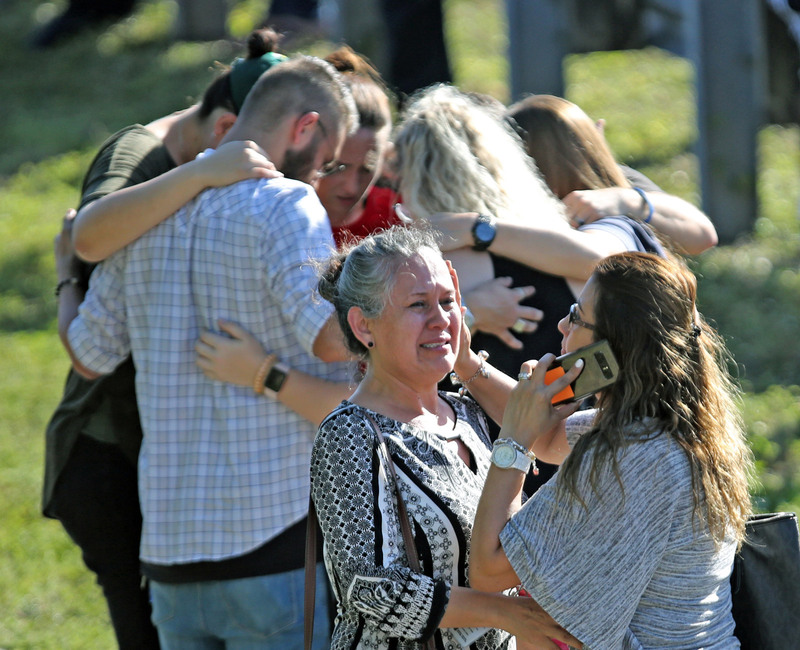 It is a brave and perhaps foolish man who would challenge the fact of 17 young lives lost, when in a small intimate community they must be well known and grieved over, so other than a sophisticated deception, we must accept these tragic deaths occurred. Nevertheless I cannot help noting the speed with which the crime scene containing multiple dead and injured was cleared and apparently re-opened, the necessary forensic post-mortems carried out, the funeral arrangements organised, all to allow at least two victims to be buried (Alyssa Alhadeff and Meadow Pollack according to the London Times) only two days after the event on the 16th February, 2018! This seems incredibly speedy but is it exceptional - even questionable? Other funerals took place the following Monday. I am sure you will have experience in this area and have an opinion and I would be most interested to hear it. Can I add a few further points/questions that trouble me, for your respected observations? It is claimed that Cruz had only 9 minutes in the building. (See copy of Police account of his itinerary in "Comments" section below) In this time he entered the building carrying his gun and back pack unchallenged by anyone although he had been banned; set off the fire alarm; moved to the toilets where he unpacked his weapon and allegedly told others to leave as it "was going to get messy" yet again no one challenged him; he then started shooting into classrooms on the ground, first and second floors, apparently leaving weapon and back pack there. Then nonchalantly walked back down the stairs and out of the building chatting to an acquaintance who reports nothing untoward about him. (Incidentally this version clashes with the version that he entered and immediately ascended the staircase to the top floor) The Times reports he fired "about 150" bullets and that 120 were left in his back. This of course would require multiple reloading depending on the capacity of the magazine (up to 30) I suppose this might be just possible in the time available, but it clashes directly with the account that the shooting occurred when students RETURNED from the fire-DRILL; or that shooting was happening as Cruz left with the friend; or the Hogg video claiming they were hiding in a class room date stamped four hours previous; or the fact that young people were still inside on 'lock-down' two hours AFTER the attack and Cruz was already under arrest! So we must assume that the dead and injured were left for about two hours before "troops" released them. Of the 17 taken to hospital, two allegedly died there, contributing to the total of 17 that died. This means that 15 died at the scene either inside or out, every one of which could not be moved until all the forensic evidence had been recorded. If carried out thoroughly and systematically this would be a time-consuming process carried out only by specially trained experts. Every one of the hundred and fifty bullets would have to be accounted for, logged and catalogued including trajectories, all of course photographed. Is there any evidence this was done? The length of time that elapsed before students were allowed out - up to two hours after Cruz left the building - also raises a question about the injured. Were they really left unattended for up to two hours before medically qualified staff could treat them? If so it raises the disturbing question as to how many of those that succumbed to bullet wounds and loss of blood could have been saved if the response had been more immediate? Then we come to the bodies themselves. 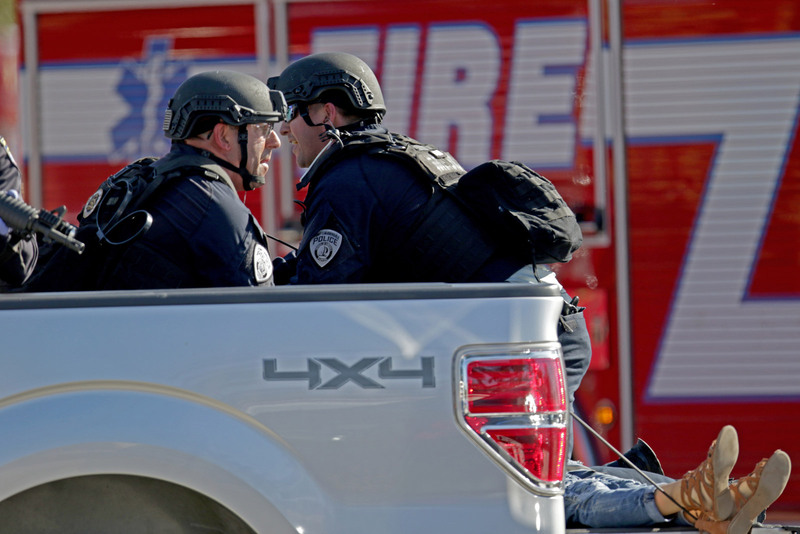 Each the result of a despicable criminal act must have required detailed autopsy to determine cause of death and the description of the actual injuries inflicted. Who were the pathologists employed in this task, again very time consuming and following strict guidelines. Yet despite 17 of these, within less than two days, at least two victims were released and buried. In such a notorious case, wouldn't you expect the Coroner would wish to retain bodies until at least he was satisfied all due process had completed? Of course all this amazing speed of process is complimented by the speed with which Cruz is identified as the killer, located, arrested, hospitalised, arraigned and admits to the deed. Conversely, it contrasts with all outrageous failings of the FBI, Police and school authorities that allowed the massacre to take place. Almost immediately following the event, the intention to demolish the building is announced. This also has become a familiar feature. Why the indecent haste to remove a crime scene, that still might contain many clues? "3. The shooter arrived in an Uber and left the scene blending into the crowd then peacefully surrendered. “At 3:41 p.m., 40 minutes after leaving McDonald’s, the suspect was detained at 4700 Wyndham Lakes Drive in Coral Springs, by an officer with the Coconut Creek Police Department,” Sheriff Israel concluded." END QUOTE.